NEWTON, NJ – The Newton Theatre presents the classic harmony-driven rock band Firefall on Saturday, March 12, 2016 at 8:00 pm. Tickets will go on sale to the general public on Friday, January 22nd at 10:00 am. In an age where new bands come and go, Firefall has enjoyed a career that spans more than forty years and shows no sign of slowing down. Their layered harmonies, backed by driving rhythms, transcend many genres from rock to country to AC. Firefall’s commercial success includes three Gold albums, two Platinum albums and eleven chart-topping singles. The band’s biggest hit, You Are the Woman has been played on commercial radio more than 7,000,000 times and has also appeared in many movies and television shows. Other hit songs include Goodbye I Love You, Cinderella, Strange Way, Mexico and Just Remember I Love You. In 2015 Firefall was inducted into the Colorado Music Hall of Fame along with Poco, Nitty Gritty Dirt Band and Stephen Stills & Manassas. 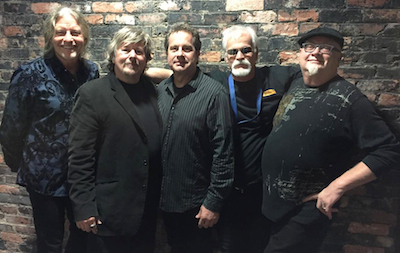 Currently touring with three original members – Jock Bartley, David Muse, and Mark Andes – longtime drummer Sandy Ficca and talented newcomer Gary Jones, Firefall continues to make great music for a loyal following, adding new fans at each show. Tickets for Firefall range from $29.00 to $44.00. Purchase tickets by visiting www.thenewtontheatre.com or contact the Box Office at 973-383-3700.